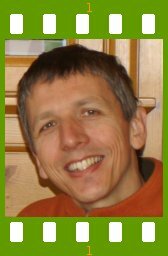 Long time openSUSE developer Klaus KÃ¤mpf joined former S.u.S.E nine years ago and since then never looked back being committed to his System Management Architect job at Novell. Favorite season: Any day one can spend outside. Be it in a winter coat or swimming trunks. I am Klaus KÃ¤mpf and I work for Novell as an Architect for Systems Management. I spend 1/3 of my time looking into (new) technology, 1/3 looking into current products and 1/3 into integration challenges in the area of systems management. I was born in the lower Rhine area before man landed on the moon. Since I joined SUSE, I usually celebrate my birthday together with AJ. We have two sons (5 and almost 3) and no pets (yet). Tell us about the background to your computer use. I learned how to grab a soldering iron on the right side ( ;-) ) from my father. Electronics was my first hobby and got me exposed to the digital world and computers. Well, my first ‘computer’ was just a microprocessor, programmed via dip-switches and some LEDs for output. This way, I learned computer technology from the ground up which is still valuable when working on software. During my time in Aachen I made first contact with C and Unix, sent mail using UUCP, coded Unix device and protocol drivers and played with TCP/IP before the Internet was born. Most of my coding was open source and I worked on a lot of projects. The internet remembers all this way better than I do. When and why did you start using openSUSE/SUSE Linux? When did you join the openSUSE community and what made you do that? Right from the beginning, luckily it was my job. In what way do you participate in the openSUSE project? Planning, prototyping, coding, bugfixing, reading and writing mails, creating and updating Wiki pages. What especially motivates you to participate in the openSUSE project? What do you think was your most important contribution to the openSUSE project/community or what is the contribution that you’re most proud of? Leading sat-solver from a hackweek project to a distribution feature. When do you usually spend time on the openSUSE project? Three words to describe openSUSE? Or make up a proper slogan! What do you think is missing or underrated in the distribution or the project? Sorting or tagging documentation, howtos and workarounds by distribution version. Currently you never know if what you’re reading still applies to the version you’re running. What do you think the future holds for the openSUSE project? Hopefully more and better online documentation so asking Mr. Google for anything Linux related leads to openSUSE instead of Ubuntu. A person asks you why he/she should choose openSUSE instead of other distribution/OS. What would be your arguments to convince him/her to pick up openSUSE? Which members of the openSUSE community have you met in person? How many icons are currently on your desktop? Don’t know. My ‘k’onsole window usually covers it all. What is the application you can’t live without? And why? Which application or feature should be invented as soon as possible? Jed. Because microEmacs, running everywhere, had such a crappy license. Which famous person would you want to join the openSUSE community? None. Famous persons won’t have time to participate anyways. I prefer the non-famous ones with time for contributions. Which computer related skills would you like to have? Knowing how to use Gimp (or any other drawing/imaging tool) inside out. The Internet crashes for a whole week â€” how would you feel, what would you do? Great ! Finally time to get back to all these electronics projects I left in the basement years ago. Which is your favorite movie scene? Star Trek, the original series please. Thai green curry, Salty Lassi. Favorite game or console (in your childhood and nowadays)? Tetris, years ago. Haven’t played computer games since then. Have been there often before the Wall fell. Wonder how it looks like today. What is your preferred way to spend your vacation? Someone gives you $1.000.000 â€” what would you do with the money? Dollars ? Exchange it to Euros immediately. Then I’d be more relaxed to think about what do to with the money. If traveling through time was possible â€” when would we be most likely to meet you? There’s a thunderstorm outside â€” do you turn off your computer? Sure, but I keep the laptop running. Have your ever missed an appointment because you forgot about it while sitting at your computer? This nice thing about computers is that they have quite accurate clocks one can use to set up a reminder. Show us a picture of something, you have always wanted to share! My wife and my kids. Which question was the hardest to answer? What other question would you like to answer? And what would you answer? I spend 1/3 of my time looking into (new) technology, 1/3 looking into current products and 1/3 into integration challenges in the area of systems management. Thank you for what you have done with system management of our lovely worldâ€™s best operating system. Enjoy reading your interview.